Time to break out the origami. Previews for what could be the newest League of Legends skin line have officially hit the game’s Public Beta Environment in the latest update Tuesday. Both Aniva and Nunu & Willump will be the lucky recipients of the “Papercraft” skin line, which feature the two characters as magical origami-like creatures made entirely of paper. Only Nunu retains his human characteristics, dressed in what appears to be a paper hat, while he carries a handy pair of scissors across his back. Riot Games also revealed the first look at the characters’ abilities, which have been decorated with magical and paper-themed effects for the skin line. Papercraft Anivia’s Glacial Storm is re-designed as a red and gold whirlwind of paper while Papercraft Nunu & Willump push a giant, colorful ball of paper across the map in place of his snowball. When casting his ultimate ability, Willump causes a paper tear in a small radius around him before unleashing massive damage. 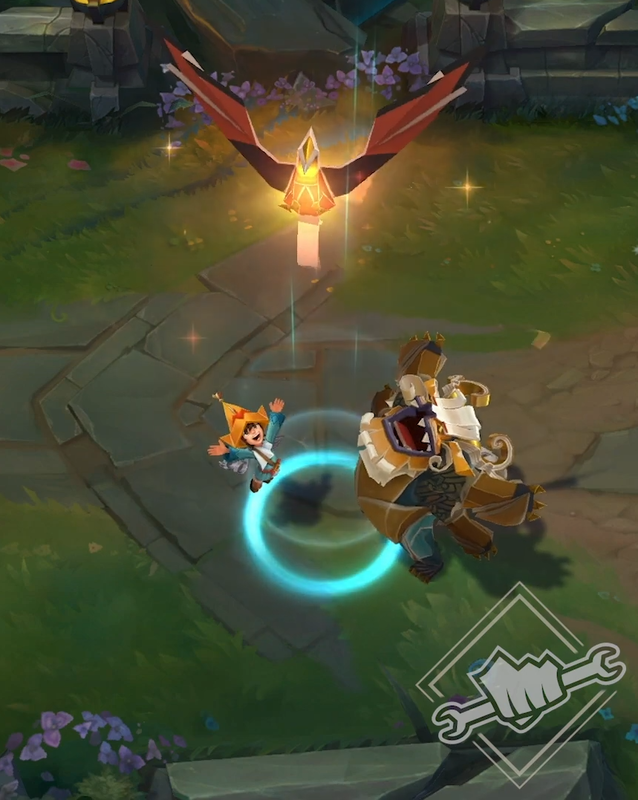 This will be the first time Nunu & Willump have received a skin following their rework in August, while Aniva’s most recent skin was her Festival Queen skin, which released in 2017. As is customary with skins on the PBE, Riot Games has yet to reveal a release date for the Papercraft skin line.